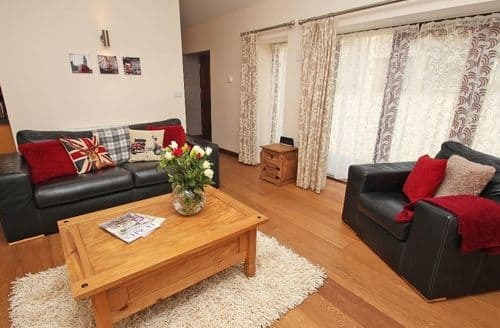 What our customers are saying about our Holiday Cottages In Budock To Rent. 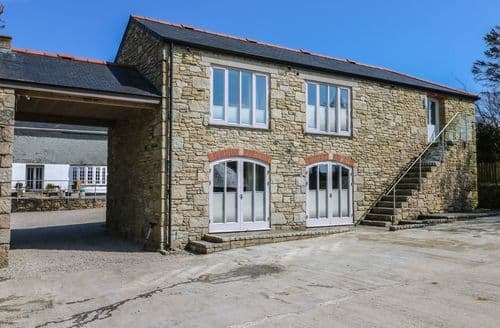 "The original listing showed it had 3/4 acre garden, this simply isn't true - it's a small garden about 50ft by 40ft, however, Google Satellite showed this clearly and we didn't need a large garden, but the listing HAS SINCE BEEN CHANGED from when we booked about ten days ago! Hence my rating. 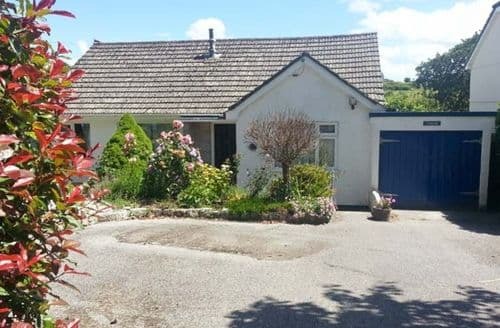 "A delightful bungalow in a leafy quiet road on the outskirts of Falmouth, set in 3/4 acre of enclosed garden. Two miles from Swanpool beach. Plenty to see and do in the area. Truro 12 miles." The bungalow was warm, plenty of hot water, clean and otherwise exactly as described. I couldn't find instructions for the recycling, apart from a scribbled note so this should be clearly explained. We found the m/wave instructions above the fridge after a few days - (which was a lovely large one with freezer below). Shower was excellent, plenty of towels etc. It really could do with some coat hooks in the bathroom for your clean clothes after a shower. 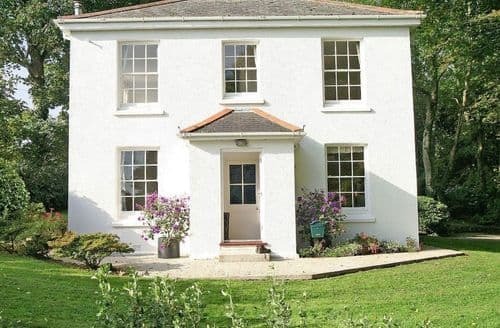 It was a great base for touring around the foot of Cornwall with loads of walks from the property, on the whole we were very pleased and had a thoroughly enjoyable stay. Locals very friendly too." "The owners are extremely friendly and will go out of their way to help if they can. It’s like home from home. The accommodation was just perfect for us (family of four) and the owners pets and farm animals added very much to our entertainment. We loved every minute of it and would highly recommend it.Clean, well equipped and beautifully furnished apartment. Friendly, accommodating and hospitable owners. Private pub is a bonus - especially if staying as a group or if other friendly guests are in the other apartments. Conveniently located for fantastic local towns, beaches and scenery. 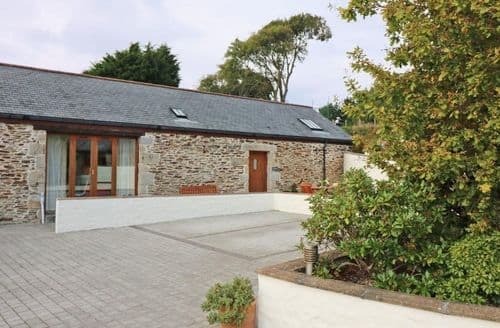 Be prepared to drive for pubs/restaurants/shops - but worth it.The accommodation is of high standard and in a beautiful and quiet area for exploring Cornwall. It was lovely having horses, cows and goats so close to hand and to have access to S96828 lake for local walks was a treat. Thoroughly recommend.Superb hosts. Animals, countryside, quiet. What more could you want.Super friendly hosts. We all had a wonderful holiday." "Very few reviews for this so it deserves some positve feedback. We stayed here for a summer holiday to explore south Cornwall. 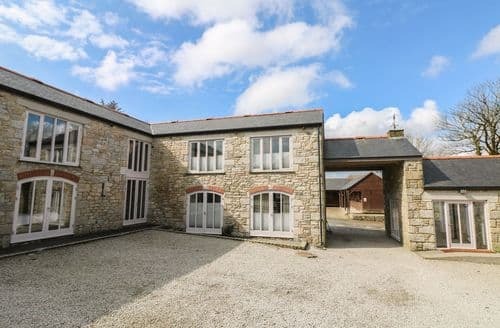 Location is superb - you have the best of both worlds in that you can walk into the countryside from your doorstep, yet Asda is a 5 minute drive away. The bungalow is very well equipped with a decent kitchen - huge fridge freezer and dishwasher. The lounge diner is light and spacious and looks out over the two tier garden and hill beyond. The garden patio gets the morning sun - great for coffee first thing. It is dog friendly and there is a dog friendly pub 2 minute's walk away. 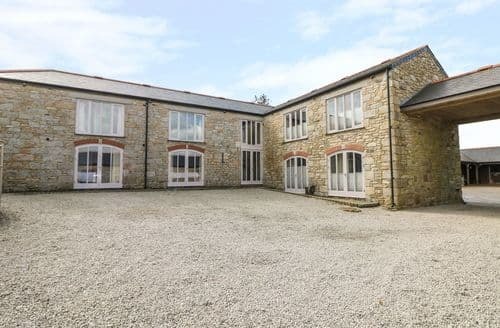 10 minute drive to the nearby spectacular gardens and the beautiful Helford river. Good value for money and highly recommended." "Clean, well equipped and beautifully furnished apartment. Friendly, accommodating and hospitable owners. Private pub is a bonus - especially if staying as a group or if other friendly guests are in the other apartments. Conveniently located for fantastic local towns, beaches and scenery. 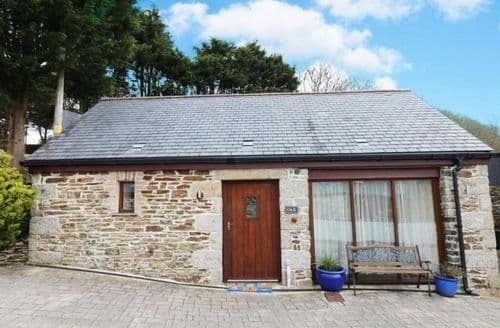 Be prepared to drive for pubs/restaurants/shops - but worth it.The accommodation is of high standard and in a beautiful and quiet area for exploring Cornwall. It was lovely having horses, cows and goats so close to hand and to have access to S96828 lake for local walks was a treat. Thoroughly recommend.Superb hosts. Animals, countryside, quiet. What more could you want.Super friendly hosts. We all had a wonderful holiday." "There needs to be darker curtains in the bedrooms as it is too light in the mornings. The seating in the living room is not to comfortable. One of the so for rooms had a double duvet on the bed which my stepson kept getting tangled in. The guttering is blocked and needs cleaning as when it rained there was a waterfall just outside the front door. There wasn't a welcome book just a notice board with scraps of paper on it. It would be helpful to have games and she's and maybe a few books in the cottage. Also a few more matching cups and glasses as it looks like a jumble sale of glasses in the cupboard. The outside lights are not working."